Jerusalem - Two Israeli researchers said on Monday they had discovered a network of hundreds of fake Twitter accounts that promoted Prime Minister Benjamin Netanyahu and attacked his political rivals, a week before a national election. People, and not automated "bots", were behind the postings, the researchers said, naming one of the alleged operators, who denied through his lawyer involvement in any organised pro-Netanyahu network. "Expert analysis shows the network has reached more than 2.5 million Israelis," the report said, putting the number of tweets since the start of the election campaign at more than 130,000. In a video clip dismissing the report's findings, Likud said 985,408 Israelis had voted for Netanyahu in the previous election in 2015. 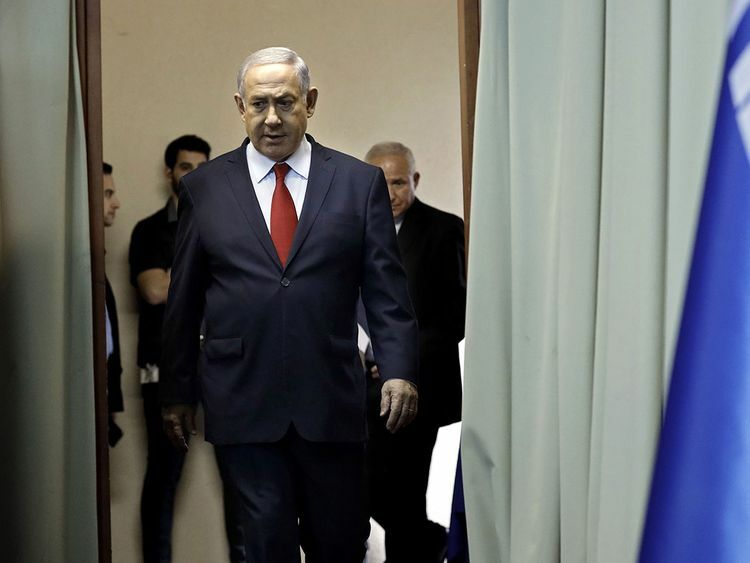 The report said one surge of fake tweets came after Israel's attorney-general announced his intention in February to indict Netanyahu on corruption charges, which the prime minister has denied. Another flurry, the report said, was launched after Gantz's Blue and White party kicked off its election campaign. "There is a whole network here, funded by big money, for stealing the election," Gantz said at a news conference after the findings were released. "This matter demands investigation." Rotem has been interviewed in the past by Israeli and international publications about cyber-security and social media manipulation.